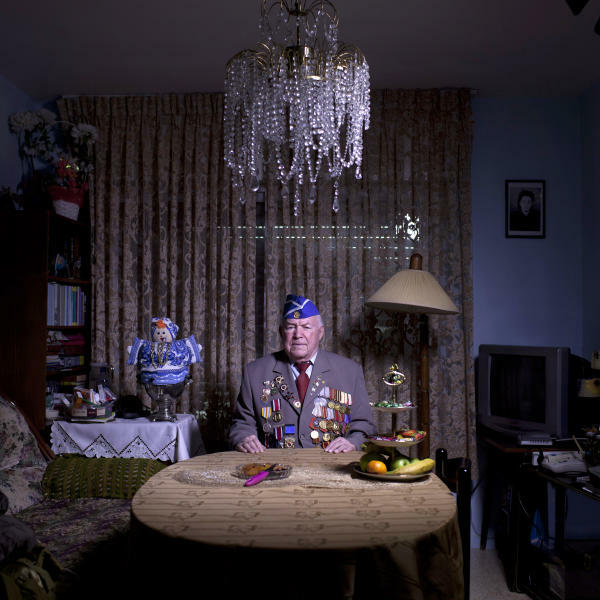 JERUSALEM (AP) — Once a year, Israel's Jewish war veterans don suit jackets and uniforms dripping in Red Army medals, the shiny bronzes and silvers pinned to their chests in tight rows like armor. About 500,000 Jews served in the Soviet Red Army during World War II. Most of those still alive today — about 7,000 — are said to live in Israel. Every year on Victory Day, which falls on Thursday this year, they parade in uniform throughout Israel to celebrate Nazi Germany's surrender to the Soviet Union. Afterward, they return home to their modest apartments, where some tick off the days in solitude — and poverty. It wasn't until last year that Israel erected its first monument to Soviet Jewish soldiers who served in WW II. A museum dedicated to Jewish Allied fighters is still under construction. 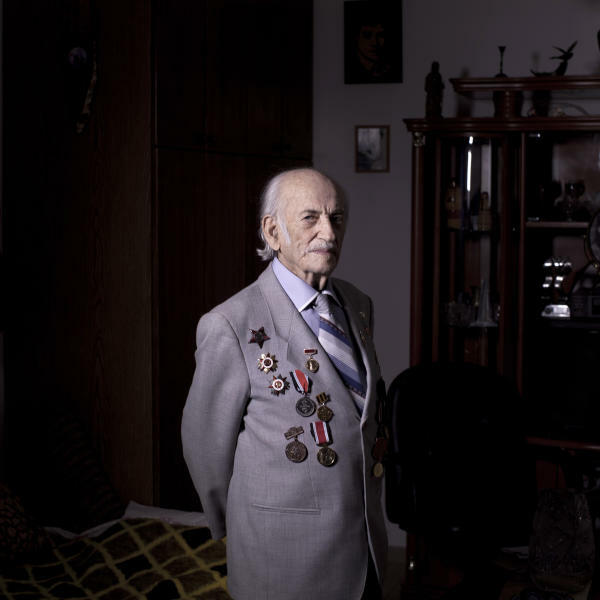 But Roman Yagel, the head of another group of Soviet veterans, countered that veterans receive generous Israeli support. He accused Grinzaid of securing stipends for undeserving veterans who did not fight on the battlefield with weapons in hand — one example of bitter political infighting within the Soviet veteran community. 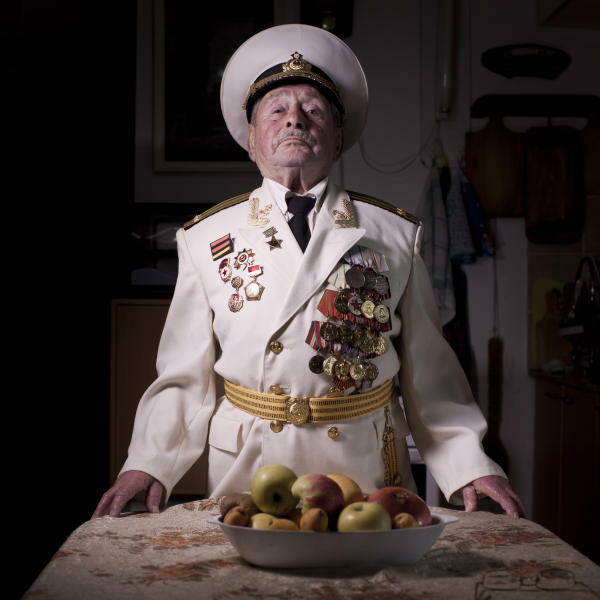 Grinzaid was 17 ½ when he enlisted in the Red Army. He was a paratrooper and served in an intelligence unit, earning five medals for his participation in battles across Europe. When Russian President Vladimir Putin came to Israel last year, he shook his hand. "I said, 'Grandmother, why are you crying? It's all over,'" Gershman recalled. "She lifted her head, looked at me, and said, 'I am 20 years old.'" One year, he walked to the parade with his daughter and grandson, wearing his navy blue uniform featuring a cascade of medallions. Israeli teenagers on the street pointed at him and laughed.